Whether tourist or local, Green Gibraltar is a fantastic opportunity to celebrate the flora of Gibraltar through photography. 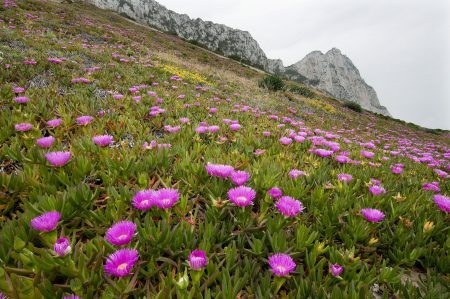 For such a small area, Gibraltar is home to diverse and unique flora which form a green environment worthy of deeper appreciation. This special award seeks to: highlight this diversity and bring it to the world’s attention, broaden public understanding of nature in Gibraltar, and showcase the botanical beauty of The Rock. Winners of the Green Gibraltar special award in IGPOTY 10 featured colourful landscapes, abstract views and beautiful macro photography. Use the existing IGPOTY categories for inspiration on what to photograph and in what style. The winners of the special award will go on to form part of the IGPOTY exhibition at The Alameda from July 2018*. Winners will also be featured in the new IGPOTY 12 hardback book**. *We cannot guarantee all highly commended and commended pictures will be exhibited – final decisions on exhibition curation are determined by the IGPOTY team. **Normal IGPOTY rules apply. Inclusion in the book is subject to the number of entries received and is at the editor's discretion. *** Exact prizes and/or experiences are TBC and are organised by Gibraltar. Entries will then be passed to International Garden Photographer of the Year for judging. All normal IGPOTY rules and codes of practice apply. We recommend all images are output to 1920px on their longest side at 72 ppi. Higher resolution images will be requested if your image is shortlisted. Entrants may submit a maximum of 8 images. *Only images taken in Gibraltar are permitted for entry in this award.